The Framed Lady: Forty! Hello Due Date. So lovely to see you. Not. Forty! Hello Due Date. So lovely to see you. Not. Here we are. On our due date. Still cookin'. I honestly thought I'd have a two- or three-week-old baby by now. 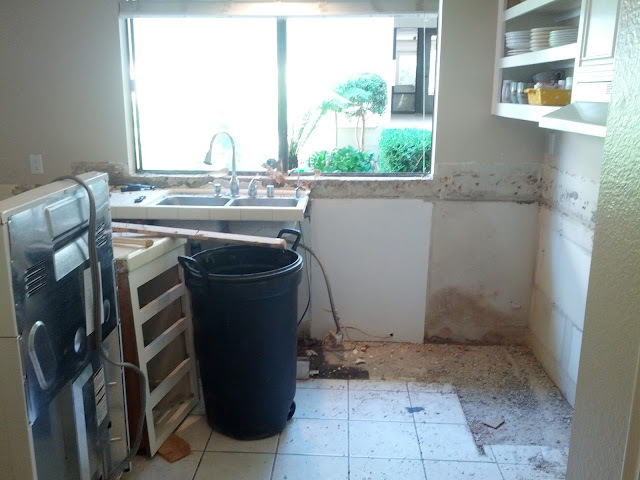 We started the demo for our kitchen. Today. Weirdest timing ever, but we figured we'd rather have it that much closer to done whenever The Boy decides to show up. I cut the sleeves off an old cropped jean jacket (from this post) and turned it into a vest. I cannot express my excitement about it. I'd been wanting a denim vest for a while, as well as a non-cropped denim jacket, so instead of buying both, I turned the one I had into a vest. I'm very excited to model it for you. You know... When I'm not forty weeks pregnant. And I've started buying post-maternity clothes. Mostly sweats. Who am I trying to impress? All sweats. It's all loungewear.